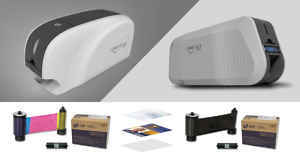 Home » IDSecurityOnline Blog » Evolis » What are the correct ribbons for my Evolis printer? What are the correct ribbons for my Evolis printer? 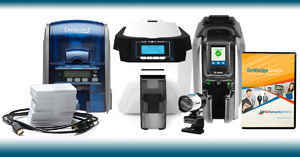 When it comes to selecting which ribbon you need to buy for your Evolis printer, many companies don�t even realize they have options. You may notice terms like �YMCKOK� or �YMCKO� in the ribbon product description but most likely, you�re clueless as to what these terms actually mean. You�re not alone, so I have compiled a brief guide in order to help customers chose which ribbon is right for your Evolis printer. First let�s start with what YMCK stand for. These letters stand for the colors- yellow (Y), magenta(M), cyan(K), and black(K) which compromise the ribbon. 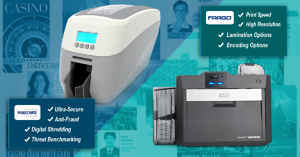 The first three colors pass over your ID badge during the printing process in succession in order to create the appearance of a full spectrum of colors. The black portion of the ribbon is added to give text or dark images a sharp, crisp appearance. Finally an �O� in the ribbon description (such as YMCKO or YMCKOK) stands for �overlay�. This type of ribbon adds a layer of protective film over what ever you printed. When it comes to single sided printing, the only ribbons you need to concern yourself with are the YMCKO ribbons. 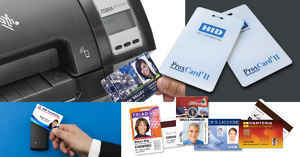 If you�re looking into printing dual sided ID cards, however, you might want to consider a YMCKK or a YMCKOK ribbon. 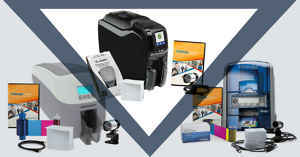 A YMCKK printer comes with an extra black panel and allows for full color printing on one side of the card and monochrome black printing on the other side of the card. The YMCKOK ribbon essentially does the same thing but adds the clear overlay to the cards for a protective and professional looking finish. �But what if I want full color printing on both sides of my ID cards?� you may find yourself asking at this point. The only option you have at point is using one YMCKO ribbon on both sides of the card. Keep in mind that this will increase your printing costs as you will be going through printer ribbons at roughly twice the average speed. Remember, if you�re looking to cut the cost of printing cards and don�t require much variety in your design, monochrome printing is always an option for your Evolis printer. 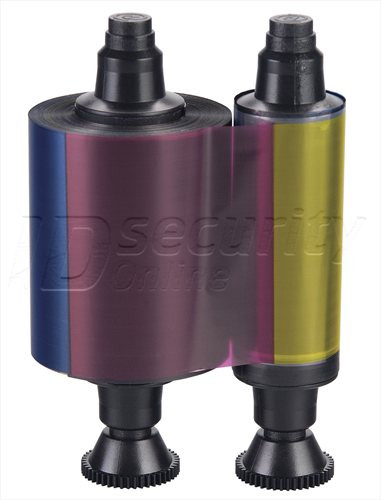 IDSecurity Online offers a wide array of single color ribbons to cater to all of your monochrome printing needs. To make this process even simpler for you, here is a list you can use to guide you when choosing a printer ribbon. All of the ribbons below are compatible with the following printers.